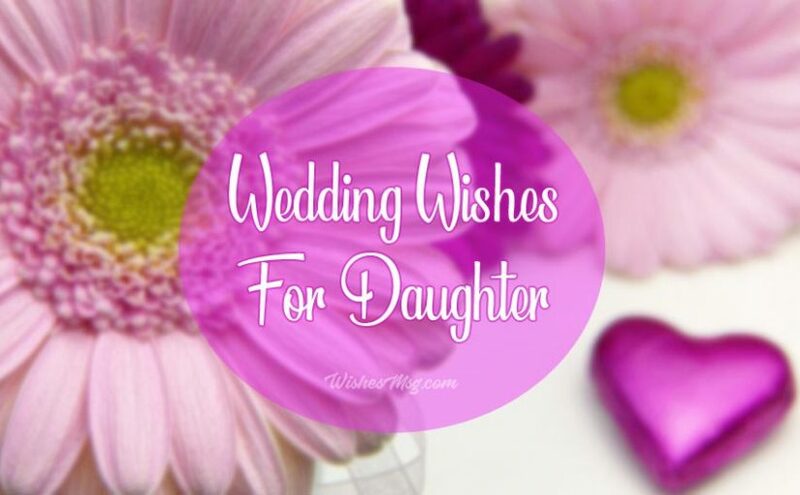 Daughter Wedding Wishes : Daughter’s wedding day is the biggest event for a parent. The heart is full of emotions to express but what to write in daughter’s wedding card- its confusion. Wedding wishes from parents to daughter hold all the love and affection which means a lot. 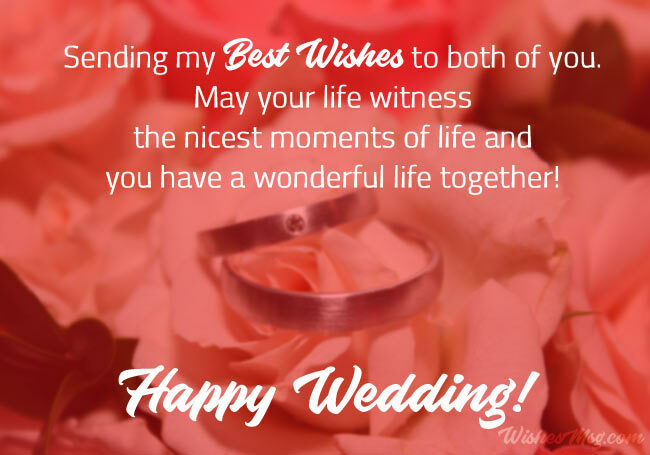 To help you with sending wishes from parents to bride and groom, here we’ve arranged a nice collection of congratulations messages for bride, wedding wishes from parents to daughter that hold heartfelt blessings and prayers. The below-arranged wedding card messages from parents are the perfect example of what to write in daughter’s wedding card. Let’s check them out! Congratulation dear for finding your true love. 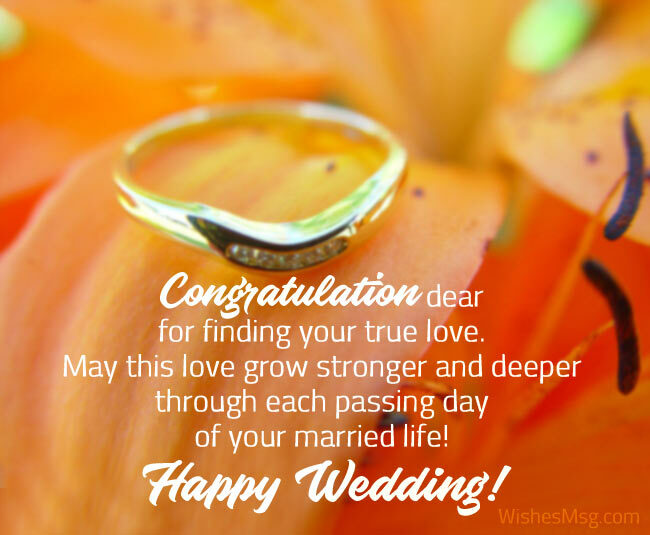 May this love grow stronger and deeper through each passing day of your married life! Congratulations on starting a new chapter of your life and wishing you happiness that stays for a lifetime with your partner! My Princess, wishing you immense happiness, joy, and laughter for your married life. May you have a successful married life! Congratulations to the bride and groom. May your wedding bring in your life precious moments of love and trust! Congratulations on this special day of your life. May you have a wonderful wedding and the newly married feeling remain forever in your married life! All I wish that may this special day of yours bring new sunshine of happiness, pleasure and awesomeness in your future life! Congratulations Sweetheart on your big day! May the relationship of you and your partner is filled with trust, respect, love and caring through the lifetime! Congratulations on your wedding Honey! May you build a family compiled of joy, love and trust that will keep you safe forever! My dear daughter, Congratulations on your wedding! May God bestow you with a lot of happiness, joys and pleasure in your married life and that stay forever in life! Congratulations on finding your man of a dream! May you be succeeded in keeping the relationship strong and never-ending with your love, trust, care and patience! I am so happy about your wedding, although you’d remain my little princess always. May you have a wonderful life with your life partner! How time flies, you’re a big girl now! I’m so happy for you that you’ve found the special one with whom you’d now complete your family! Enjoy the day. Sending my best wishes to both of you. May your life witness the nicest moments of life and you have a wonderful little world together! May you have a little beautiful world of yours in this big world that is full of love, joy and trust! Congratulations to both of you on your wedding! May this special day of yours turn into the exact scenario that you’ve dreamed off about your wedding. My best wishes and prayers are always with you both! May your marriage be the successful one and your ever-growing love bloom with trust and joy! Congratulations on the two special persons of this evening. My little princess, you’re a wedding is the most dreamed off event in my life. May you both have a wonderful wedding and always be together in life! Congrats my dear on your wedding! May you both stay in love forever and wishing you a happy married life in future! Congrats daddy’s princess! Wish you a never-ending lovely married life ahead and may you both stay together this way forever! Proud to be your daddy, my Sweetheart! May God bless both of you with an everlasting love, trust, respect and happiness! Enjoy this big day at the fullest. Know my heartfelt wishes on this new achievement! You both make a lovely couple and hope that would stay in love this way always. God bless you both! Sending you my warm wishes for today and always. May God bless your marriage with lots of love, happiness and trust that give shape to a happy married life! Your daughter’s wedding is the big day of your family. 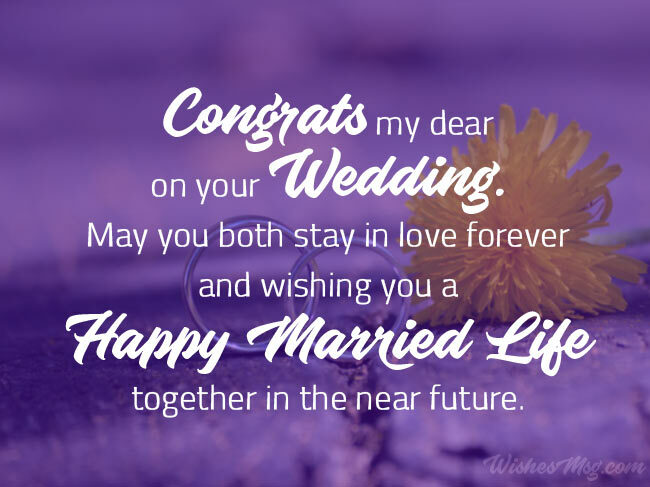 We’ve tried here to make that special event more emotional and heart touching by arranging these beautiful wedding wishes and messages for daughter. These heartfelt blessings and prayers will precisely express the words of your heart.